You've Lost That Lovin' Feeling – the most played song in radio history, Just Once, Here You Come Again, On Broadway, Somewhere Out There, Don't Know Much, Never Gonna Let You Go, Sometimes When We Touch, We Gotta Get Out Of This Place... the songs are familiar, enduring favorites penned by one legendary songwriter, Barry Mann. In the ever changing, music industry, it is rare for a writer to achieve and maintain staying power. Songwriter Barry Mann, together with his wife, lyricist Cynthia Weil is one of the outstanding creators of American popular music. He has crafted countless hits and some of the most influential and beloved pop songs in a career that has spanned four decades. With an undeniable knack for keeping in tune with the changing times, Barry Mann is truly a music business phenomenon. He has written innumerable pop hits and has been able to create the kinds of songs that transcend time. Adapting uncannily to different themes, styles and genres, he has attracted a broad range of artists to record and re-record his many classics and has presented not one but many songs that have become themes and anthems... "soundtracks" to our lives. Mann first landed on the pop charts as a teen songwriter with the novelty hit She Say. Shortly after he began working at Don Kirshner and Al Nevins' Aldon Music as part of the now legendary "Brill Building writers". It was a time when young songwriters dominated the pop charts and raised the bar for the American pop song. Among his colleagues were Carole King and Gerry Goffin, Neil Sedaka, Carol Bayer Sager, Jerry Leiber and Mike Stoller, Phil Spector and the woman who would become his partner in life and music, lyricist Cynthia Weil. The two soon embarked on their remarkably successful personal and professional relationship. Mann's seemingly endless stream of hit songs followed: Uptown, Who Put The Bomp (which also put him on the charts as a recording artist), On Broadway and Only In America (both co-written with Leiber and Stoller), WE Gotta Get Out Of This Place, I Love How You Love Me, Blame It On The Bossa Nova, Kicks, Hungry, He's Sure The Boy I Love, Walking In The Rain, Soul And Inspiration, I Just Can't Help Believing, Rock And Roll Lullaby... and that was just the beginning. Unlike many of the golden hit makers of the sixties, Mann and Weil continued strong into the seventies, eighties and nineties. Never dating themselves, they produced hits for almost every genre from R& B to soul, country to rock and roll. In the seventies, they gave Dolly Parton her first crossover hit, the million selling, Here You Come Again, which was also honored that year as Broadcast Music's "most played country song". Mann also collaborated with Dan Hill on Sometimes When We Touch, the romantic ballad that introduced the Canadian hitmaker to US audiences. In the eighties, Mann and Weil helped launch the career of James Ingram with the sophisticated, Just Once, reintroduced the world to the angelic voice of Aaron Neville with Don't Know Much (written with Tom Snow) and created the classic Somewhere Out There. Even in the nineties, they went on to collaborate with teen sensations Hanson on I Will Come To You. Film was another area of expertise for Mann. With Weil and James Horner he penned the song score for the acclaimed animated film An American Tail. That song score included the double Grammy award winning, Oscar and Golden Globe nominated instant standard Somewhere Out There. Early in his career, Mann co-scored I Never Sang For My Father. He has also created song scores for films as diverse as the cult classic Wild In The Streets and the children's classic Muppet Treasure Island and has contributed songs to Christmas Vacation, Oliver And Company and Balto among others. Mann was once again Grammy nominated for the song Whatever You Imagine from The Pagemaster. 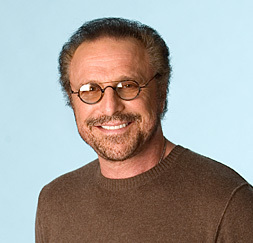 In addition to countless industry accolades including induction into the prestigious Songwriters Hall of Fame, the 2003 Heroes Award from the New York Chapter of NARAS, and his 2010 induction into the Rock and Roll Hall of Fame, Mann has worked as producer, arranger and instrumentalist with the likes of John Lennon, The Pointer Sisters, Michael Bolton, Mavis Staples, Gladys Knight, James Ingram and many other greats. In 2011 Barry was awarded the prestigious Johnny Mercer Award by the Songwriters Hall of Fame. The Johnny Mercer Award is the highest honor bestowed by the organization to songwriters who have established a history of outstanding creative work. 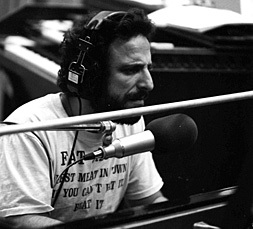 Barry Mann's You've Lost That Lovin' Feeling (written with Weil and Phil Spector) has the distinction of being the most played song of the twentieth century and the most performed song in the BMI catalogue. It has garnered more than 14 million plays, the first BMI song to ever achieve that milestone. If played back-to-back 24 hours a day, this would equal more than 65 years of continuous airplay. This rock and roll classic has also received 14 pop awards ...another record achievement and The Righteous Brothers' recording has been selected for inclusion in the Grammy Hall of Fame. The hits are impressive, but Mann's accomplishments as a whole must be acknowledged to truly understand the magnitude and scope of this astonishing career. To look at his catalogue is an experience in itself and then to realize that his songs sound as good today as when they were written is truly awe inspiring. A talented, dynamic singer in his own right, he finally offered his own voice to some of his greatest hits with the Atlantic Records album, Barry Mann  Soul & Inspiration. Featuring guest artists such as Carole King, Daryl Hall, Bryan Adams, Richard Marx and Peabo Bryson on harmonies, the album presents 11 jewels from Mann's extraordinary catalogue in a totally new light. Sung by the man who wrote them, we hear an intimate, insightful interpretation of his songs. In January 2004, Mann and Weil opened in New York for a limited run of They Wrote That? a show based on their catalogue of hit songs. Backed by a five piece band and three back up singers, Barry sang while Cynthia wove their personal and professional history, stories about the creative process and behind the scenes dish, through an evening of their songs. The show was directed by Tony award winning director, Richard Maltby, Jr. In March of 2008, Mann and Weil's original pop rock musical based on the motion picture classic, Mask, also directed by Richard Maltby, Jr. premiered at Pasadena Playhouse. Anna Hamilton Phelan, screenwriter of the film also penned the book for the theatrical version. 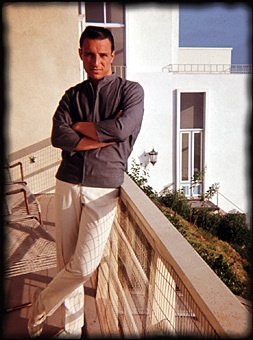 Barry Mann's talents, however, are not solely limited to music. He is also an accomplished photographer whose work has won a place in numerous group exhibitions. He has also been exhibited in one and two person shows at multiple galleries in Los Angeles and San Francisco. 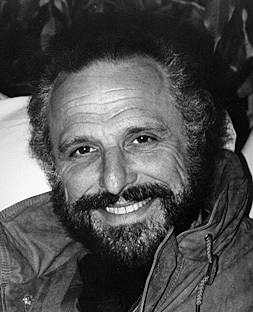 Barry Mann continues to create both musical and visual works that are powerful, unique and timeless.